Every year, my girls and I choose goals that will improve our health. Last year, we resolved to drink more water, and our energy levels and moods definitely improved as we stayed hydrated. I plan to encourage my girls to make healthy New Year's resolutions this year, too, and will work with them to plan and work toward sustainable goals. I usually have ideas about what health changes I'd like my girls to make, but I've learned that I need to listen to them and hear what's important to them. I might think they need to exercise more, but they may want to learn how to cook healthier meals. Ultimately, I want them to create goals that meet their needs. As parents and caregivers, we want our kids to eat more veggies and exercise more, and these resolutions are good. However, we have to give our kids freedom to choose their resolutions, which allows them to take responsibility for their actions and improves the chances that they'll follow through. Sometimes, my girls struggle to choose a resolution or pick one that's age-appropriate. I ask questions like, "What are you willing to do this year to get healthier?" and "What would you like to do differently this year?" These questions help my girls start to think about realistic goals they can work on throughout the year. My older daughter made a long list of resolutions last year. She wanted to run a faster mile, eat five servings of fruit and veggies each day, learn how to cook a different meal each week, eat breakfast every day, and lose 10 pounds. Her goals were admirable, but I encouraged her to prioritize them so she could focus on accomplishing the resolutions that were most important to her. Our resolution to "drink more water" was vague, so we decided to drink at least four bottles of water each day, use rubber bands to track our progress, and check off each successful day on a calendar. Breaking our big resolution into concrete and specific steps with a plan to remain consistent helped us stay on track, and I'll encourage my girls to take small steps with their resolutions this year, too. If we want our kids to choose and keep their resolutions, we can model how to make and keep resolutions. Let's show them how to set realistic goals with manageable steps and give them permission to ask us about our progress. Nagging never helps kids achieve their goals, and we don't want to bribe them to get healthy. We can check in periodically, though, and provide accountability. I usually ask my girls weekly if they're happy with their progress or if something's getting in their way. Then we can talk about possible adjustments that will help them keep progressing. 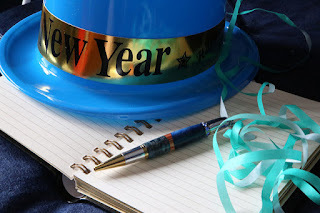 Making resolutions is easy, but keeping them is hard. I praise my girls often as they achieve their health goals. We also talk about their successes during the past year as I help my kids succeed in making and reaching their health goals. As you and your kids consider New Year's resolutions, encourage your children to make healthy and sustainable goals. These eight tips can help them succeed. What other suggestions do you recommend?